As you approach the Admission area of the Hockey Hall of Fame, you are greeted by a nearly nine foot tall statue of the incomparable "Mr. Hockey", Gordie Howe. 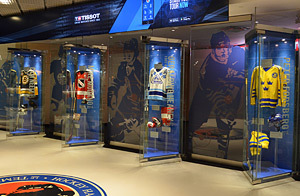 The Entrance Foyer exhibits offers visitors a glimpse at the 60,000 square feet of one-of-a-kind exhibits, state-of-the-art theatres, hands-on interactive games and hockey's most precious artifacts that await them. New 9&99: Howe • Gretzky Exhibition pays homage to the legacy and indelible bond of 'Mr. 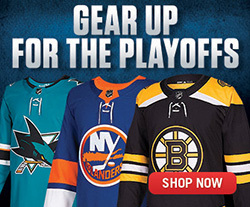 Hockey' and 'The Great One'. Click to Enlarge. Also situated within the Admission area are four Honoured Member Columns which provide visitors with a sneak peek at the tribute to the best of hockey that awaits them within the walls of the Hockey Hall of Fame. 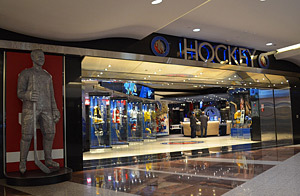 These columns are separated by glass dividers featuring Honoured Members Johnny Bower, Bobby Orr, Wayne Gretzky, Angela James and Nicklas Lidstrom. The Hockey Hall of Fame Entrance Foyer. 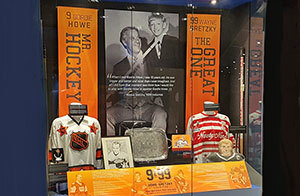 Currently featured within the Entrance Foyer is a sneak peek into the limited-time 9&99: Howe • Gretzky Exhibition. An exhibit unlike any other, paying homage to the most prolific scorers of our generations, Gordie Howe and Wayne Gretzky. 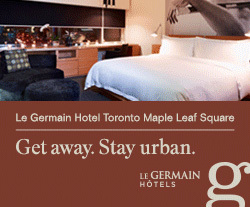 Guests will witness the greatest compilation of milestone artifacts and rare personal memorabilia, all hand-picked by Hockey Hall of Fame curators from the Howe and Gretzky family collections. 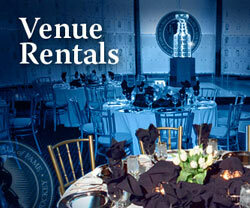 Four Honoured Member Columns make their home in the Admission area at the Hockey Hall of Fame.